Stage 1 of The Castles Route to include loops to Grosmont Castle and White Castle. This is a short, easy ride along quiet road with just a few hills but no overly-steep ascents. 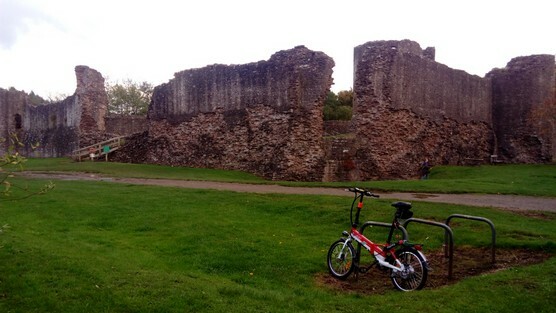 It is suitable for a family ride with free access to Skenfrith Castle on arrival. The return ride follows the route of the River Monnow along very quiet, almost traffic-free lanes. 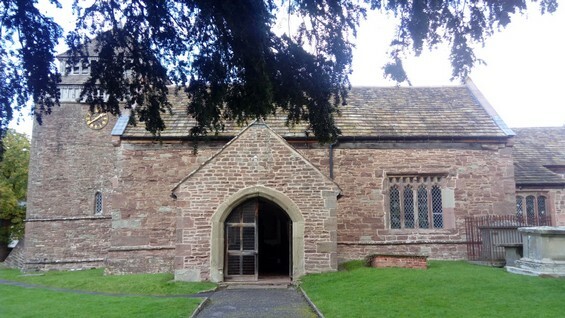 START in the centre of Llangrove village beside the war memorial and continue along Llangrove Road towards Llangarron with the church on your right and passing The Royal Arms public house on the left. At the T junction, turn left towards Welsh Newton. After a short distance pass Treworgan Cottages on the right overlooking a pond and panoramic views of rolling countryside. Continue on the lane until it descends at Welsh Newton with the church on the right as it meets the A466. Turn right onto the A466 then take the first turning on the left signposted Garway, Pontrilas and Broad Oak. This is a quiet country road with very little traffic but some stunning views, particularly around Pembridge Castle on the right. The castle dates from the 12th century but is privately owned and not open to visitors. Opposite Pembridge Castle are scenic views of the lane twisting its way between fields before joining the B4512 at Broad Oak. At Broad Oak is a staggered crossroads. Turn left following the signpost to Skenfrith. This road, the B4512, is the busiest section of the route and depending on the time used, it is possible you might encounter a few cars or other vehicles. It is certainly not a busy route. Following a series of bends, the road straightens and enters Monmouthshire. Continue along a flat section with open fields to the left then cross the stone bridge over the River Monnow opposite The Bell of Skenfrith public house and follow the road to the right towards Skenfrith Castle. After passing the memorial on the right and telephone box on the left, turn right down to the lane to Skenfrith Castle where bike racks are provided just past the parking area on the right. The castle is open to visitors at all reasonable hours and no charge is made. Now in the ownership of the National Trust, the ruins of Skenfrith Castle date from the late 12th century replacing an early castle on the site. During the building of the first stone Skenfrith Castle, it became flooded so its interior was filled with gravel from the river and a second stone castle was built on its incomplete predecessor. Even today, at its raised level, the site can be subject to flooding. On leaving the castle, rejoin the B4521 and turn left, passing The Bell of Skenfrith on the right and turn right along the narrow lane in front of the pub, before crossing the stone bridge over the River Monnow. This early part of the lane presents a short but quite steep climb but it is worth it for the views from the top looking back towards Skenfrith and then, just over the peak, the views back towards Welsh Newton and the Doward. Following the climb you are rewarded by a quiet lane with a gradual descent followed by a flat stretch – at least until the next hill, although not as steep as the first. Here you pass fields of cider apple orchards on the left forming a branch of Bulmer's cider-production industry in Hereford. After the peak of the second hill is quite a steep descent – only attempt this if you can trust your bike brakes! Continue along the lane which now passes through woodland before opening out amidst open fields. At this point the lane also becomes quite rough with a poor surface and several small potholes – take care. Keep a lookout for the first lane on the left signposted Trigate Bridge and turn left down the narrow, width-restricted lane. 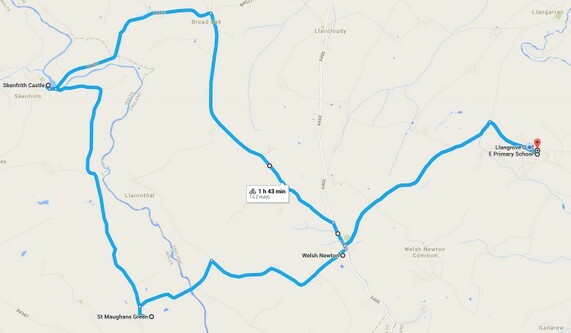 - and continue along this lane with its small climbs and descents until reaching a T junction at which you turn right, signposted Welsh Newton, and follow its gradual ups and downs until meeting a long, gradual descent to meet the A466. Turn left (signposted Hereford) then immediate right (signposted Llangrove 2miles) at the church cross and continue up the hill, the last hill of the route, following which it's a long downhill stretch towards Llangrove. Turn right at the sign onto Llangrove Road and continue along the road, passing The Royal Arms again – now on the right, to return to Llangrove Academy to complete the ride. No liability can be accepted for any errors, omissions, loss, damage or injury incurred by following this route.